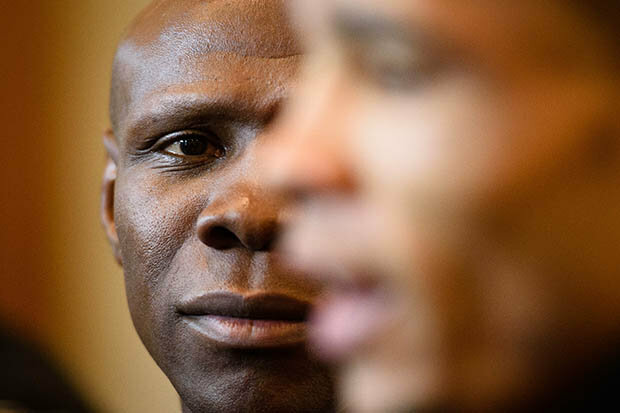 THERE is no love lost between Matchroom promoter Eddie Hearn and the Eubank family. Formerly associates,EubankSnr spent a large part of his fighting career in partnership with Eddie’s father, Barry,atMatchroom Boxing.AndEubank Jr looked set to follow in his father’s footsteps, signingwithMatchroom in2015to much fanfare.But the relationship soon turned sour amid whispers thatEubankSnr, acting as his son’s manager, had become unreasonable and impossible to deal with.The final straw came over a disagreement between the two camps while negotiating a deal to fight unbeaten Kazakh middleweight Gennady Golovkin – a fight that Sheffield welterweight Kell Brook later jumped up two weight classes to take in Eubank Jr’s absence. 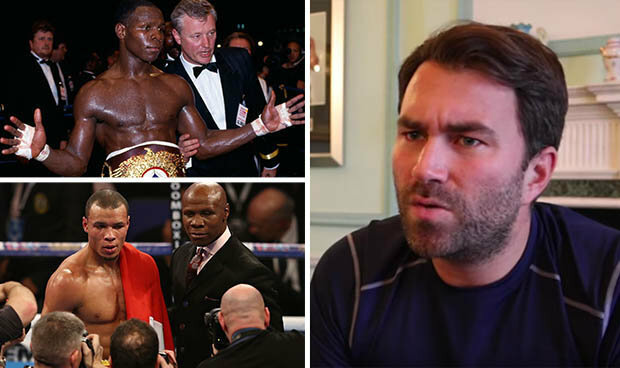 With their relationship seemingly irreparably damaged, Hearn lifted the lid earlier this week on his issues with the 50-year-old former world champion middleweight.“My dad was the best man at his [EubankSnr’s] wedding,” Hearn explained of his father, Barry.“My dad sacrificed a lot, mainly through my childhood, to deliver the opportunities for ChrisEubank Snr.“Some things live with you forever. When I phoned up Chris Eubank about two or three weeks before I was planning a 60th surprise party for my dad, in my own garden.